The mobile app of the band MOONCRY - the new dark melodic metal sensation! This free app lets you listen to their music, check out photos and videos, read blog posts, chat with the band, get exclusive push notifications straight to your mobile device and streaming IP-Radio etc. 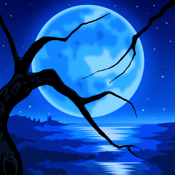 Keep in touch with "Mooncry" and never miss anything!